Glamour Personal Blogger Template is an elegant design embedded with lots of features. You just focus on your content and our blogger template will take care of the designing and features. It offers the best solution for OOTD, Fashion, Lifestyle, Personal blog, Diary Entry kind of blogs. 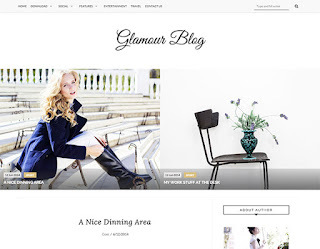 With Glamour you can open up your new blog or can redesign your existing website in no time as this template is very user friendly and does many things automatically.